Transmission current<300mA, Receiving current<25mA, sleeping current <20uA. Modulation mode: GFSK, Frequency: 433MHz. 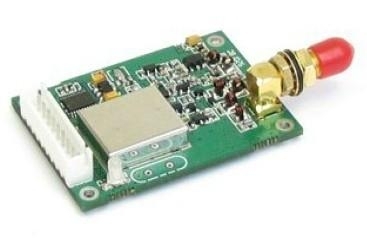 Also capable of 450/470/868/915MHz. Based on the GFSK modulation mode, the high- efficiency forward error correction channel encoding technology is used to enhance data’s resistance to both burst interference and random interference and the actual bit error rate of 10-5 ~ 10-6 can be achieved when channel bit error rate is 10-2. Transparent data interface is offered to suit any standard or nonstandard user protocol. Any false data generated in the air can be filtrated automatically (What has been received is exactly what has been transmitted). The change time between receiving and sending is <10ms. The standard HR-1026 configuration provides 8 channels, if the user needs, it can be extended to 16/32 interface, meeting the multiple communication combination mode of the user. 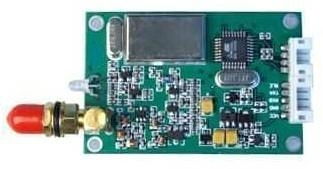 Interface baud rate is 1200/2400/4800/9600bps with format of 8N1/8E1 and user can define it by itself, It can transmit unlimited data when Interface baud rate is not bigger than air effective baud rate band. Even for semi duplex communication, the user doesn’t need to prepare excessive programs, only receiving/transmitting the data from the interface. HR-1026 will complete the other operations automatically, such as transmission/receiving conversion in the air, control, etc. RS-232, RS-485 interface diversion chip, DB9 standard interface connector and special power connector are used. Watchdog monitors the inner function, so it can change the traditional product structure and also improve the reliability of our modules.